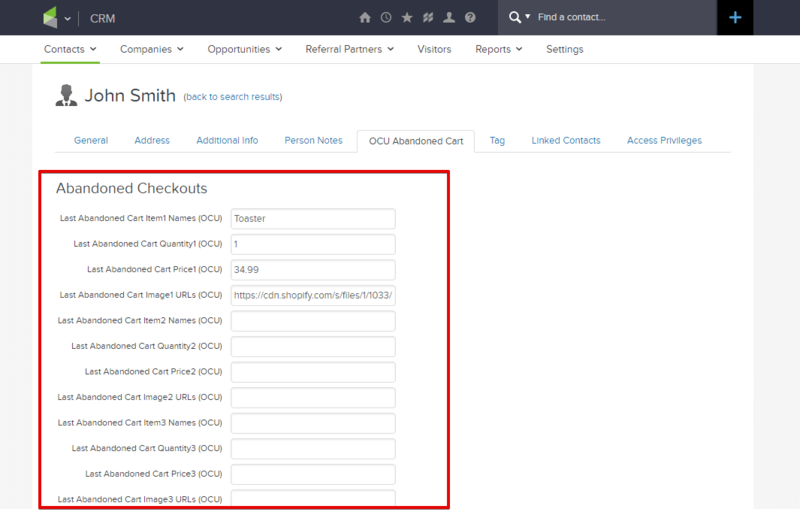 Learn how the Infusionsoft integration works with the built-in Abandoned Cart feature for OCU! 1. Navigate to the Infusionsoft website (https://signin.infusionsoft.com/login) and log in to your Infusionsoft account by entering your email and password. Then click the blue "Log In” button. 2. Click on the "Profile" icon in the top menu and copy the Account name. 3. Open the OCU app within your Shopify store. Click the "Settings" button from the left-side navigation menu then click "CRMs". Paste the Account name into the "App Name" field in the Infusionsoft section. 4. Navigate back to your Infusionsoft account and click "Settings" in the upper-right corner and then select "Application" from the left-side panel. 5. Scroll down to the API section and copy the Encrypted Key. 6. 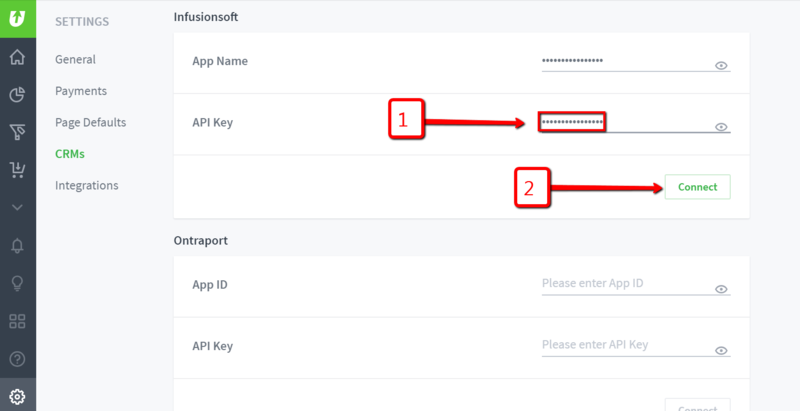 Return to the CRMs section of the OCU app within your Shopify store and paste the API Key into the "API Key" field. Then click the green "Connect” button. 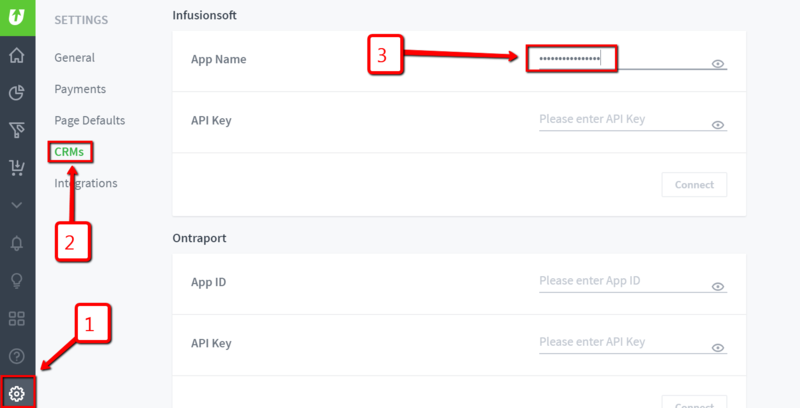 Your Infusionsoft account is now connected to your OCU app via API! 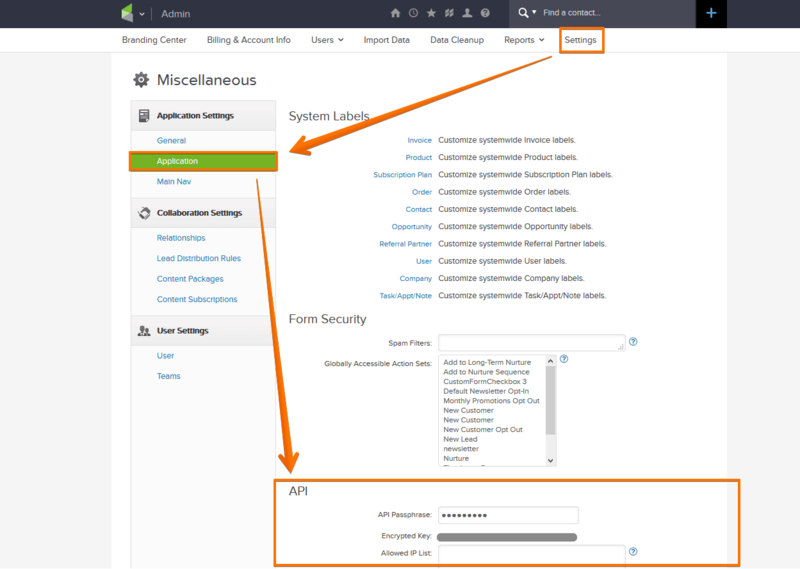 In order to start receiving information within Infusionsoft, you need to first create a Tab with Headers in it. This Tab will allow you to view all of the fields that OCU sends into your Infusionsoft CRM. Headers are needed to make it more user-friendly for review. 3. In order to create a Header within the Tab, select "Header" and click on the "Add" button. Then enter the Header titles you wish to add I.e. Abandoned Checkouts, Completed Checkouts, Purchased Offers) and select the Tab you created before. ...by clicking on the drop-down menu and selecting the Tag or Header. Then click on the green “Connect” button. *Note: Infusionsoft has a limit for the fields which could be sent through API (100 fields max). OCU sends up to 23 fields for Abandoned Carts, 22 fields for Completed Orders, and 4 fields for Offers Purchased which results in 49 fields total. 1. 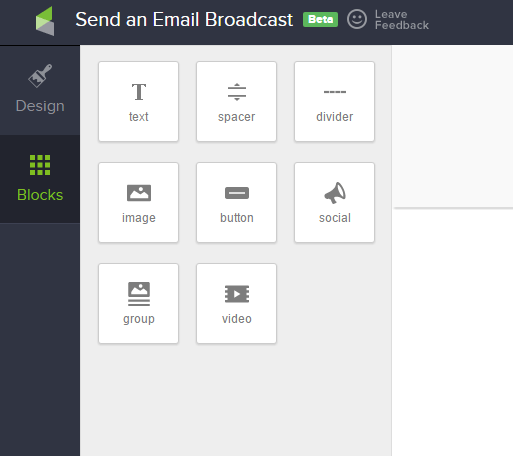 In order to create an email template, you need to click on the Infusionsoft logo's dropdown menu in the upper-left corner and then click on "Email & Broadcasts" below the Marketing column. 2. There are 2 options available for template creation: Regular or the new "Email Builder" which is more handy and allows you to use ready-made templates. *Note: All further instructions are for the "Email Builder" option. 3. Once Email Builder is selected it opens a screen with a list of templates (ready-made ones or previously created by you). Click on "Use template" next to the desired template. The selected template will then open in the template editor and provides editing tools. 4. 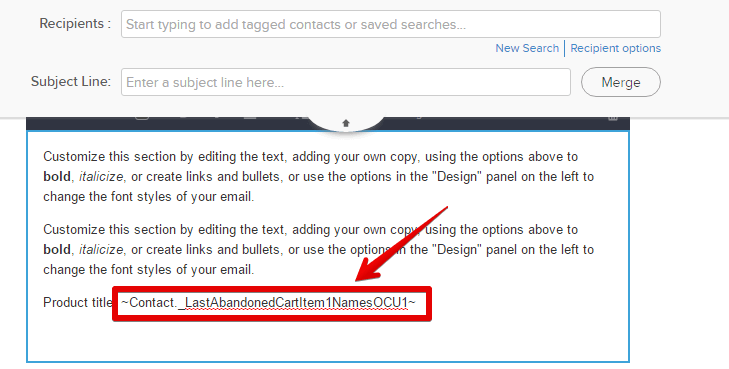 In order to use the OCU custom fields in the template, you need to add variables for them into the template first. Click on "Merge", go to "Contact Fields (Custom)" and select the needed fields from the list. 5. The field's variable will be added into the Subject Line field. Copy it from there and insert it into the desired section of the template. Repeat the same process for each desired field. 6. Then you'll need to provide information about the sender and the recipients. For Recipients, specify the list that includes the customers you want to send the current campaign to and which also contains the custom fields added to the template. The last step is to specify the email's Subject Line. Next, you're able to either save the template or send it to customers right away. The corresponding buttons are located in the upper part of the page. 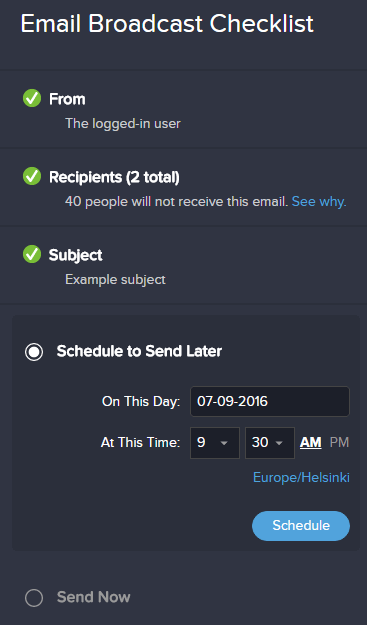 If there are any issues with the template, they will be displayed in the sending Preferences. Once all issues are fixed (and you have green check-marks next to all points) you'll able to either send the campaign immediately or schedule the date/time when to send it out. The Email Builder is a very handy tool, but it doesn't allow you to apply changes to the HTML code. So, if you need the flexibility to manipulate a field's values then the Regular editor allows you to do this. It utilizes the same main principles when it comes to the fields. In order to output custom fields, you need to select them in the "Merge" section. If you want to manipulate HTML code in relation to the custom fields you need to switch into "use HTML Code Builder" mode. You can accomplish that using HTML markup code.